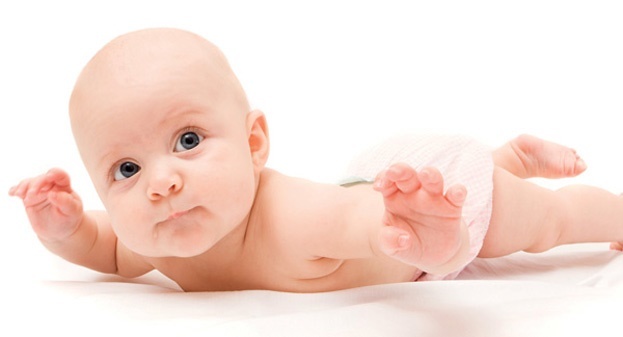 No matter how prepared you are, trust us, your newborn will take you by surprise! There are quite a few things you might not know as a new mom. Like the fact that your baby's first poo is probably going to be black and you won't be getting much sleep, for months, now that baby's arrived. 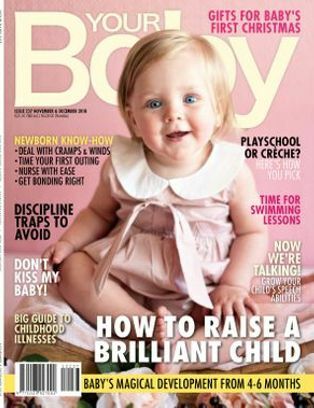 Despite the veritable library of books and magazines you read before your baby comes, and no matter how prepared you feel, babies, parenting and your body have their own special ways of throwing your expectations for a loop. These unexpected motherhood moments can be hard to deal with, but we’ve made it especially easy for you. Here’s what you can expect that no book tells you. For nine long months you’ve imagined the moment of meeting your baby, and you’ve probably spent all this time expecting a flood of love stronger than you’ve ever known to hit you. This doesn’t happen for everyone; in fact, it can take you a while to bond with your baby. If you have not bonded with your baby by the time you’re ready to go home, speak to your doctor or midwife, she suggests. “A follow-up is then a must to investigate any further causes or postnatal depression,” she adds. It may be the most natural thing in the world, but breastfeeding takes time and practice, says Burgie, and it may take a couple of tries before you get it right. You’ll receive lots of advice from well-meaning friends and family, but if you find yourself struggling, don’t feel guilty. Ask your doctor for the number of a lactation consultant who can help you. Also, trust your instincts. Burgie says that for the first few hours after birth, you will need to change your pad at least once or twice an hour to keep comfortable. This heavy bleeding should last between six and 12 hours, and then slow down. 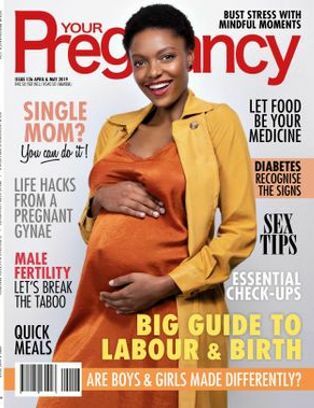 “Your midwife should also show you how to rub your uterus (this is called fundal massage) to keep the womb contracted and to minimise bleeding,” she adds. “Days two and three after birth will be like a heavy period, and on day three you’ll notice a brown mucus called lochia. This is the period you should have had nine months ago. It shouldn’t have a bad smell – if it does, it could be an infection,” Burgie warns. Your bleeding should lighten about a week to 10 days after giving birth. If you’re still bleeding heavily after two weeks, make sure that you talk to your doctor about it. Crying is the only way your newborn can communicate with you. Considering she will cry to tell you when she’s hungry, tired, needs a change, is hot or cold, needs a bit of love and is even feeling sick, it’s easy to get confused. Try not to get too flustered when your baby cries. Start by seeing to her most basic needs – being fed, dry and comfortable – and work your way up the list if that doesn’t solve it. Really, sometimes all your crying baby needs is to be held close by you, so give her a soothing hug. Newborns feed every two to four hours, so even if you do manage to sleep when your baby sleeps, you can expect to be interrupted often. It’s also likely that you will have lots of visitors in those early days. Don’t feel obliged to entertain them – you can politely send a message out to everyone saying that you and your partner would like to have the first two weeks with baby to yourselves, after which they are welcome to visit. This gives you some time to find your feet and catch up on some much needed rest. 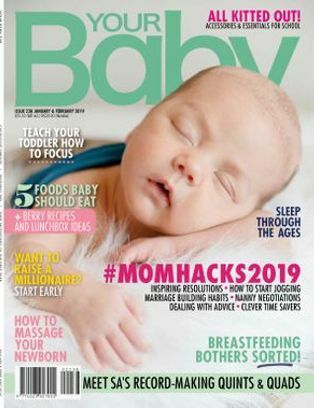 Meg Faure, co-author of Sleep Sense, says that it is common for babies (especially in the first three weeks) to have their day and night muddled up. The way to correct it, she says, is to make sure that your baby gets enough to eat during the day so that she doesn’t wake as often at night to feed. To do this, don’t let more than three-and a-half hours pass without feeding your baby during the day. If you must, wake her three hours after the last feed to feed her again. 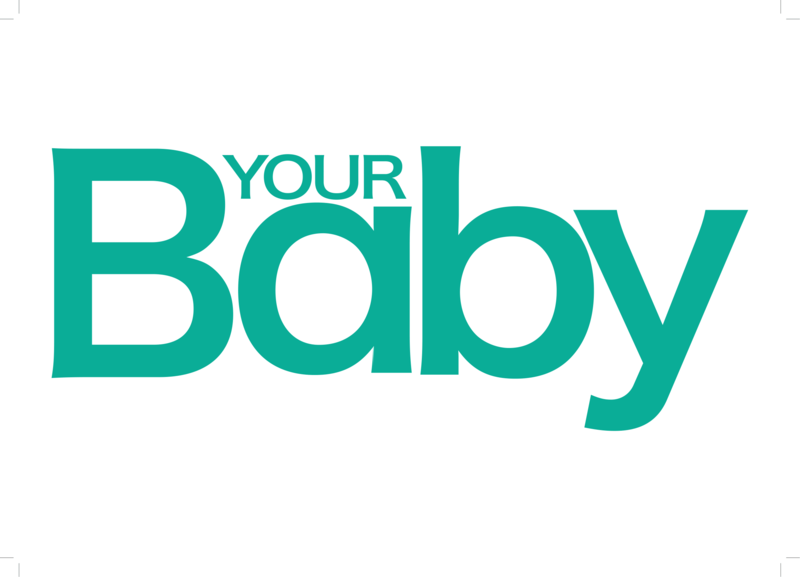 Interact in a lively manner with your baby during these feeds. At night, feed your baby when she wakes up, but don’t interact with her at all. Feed her in the dark, and don’t stimulate her. For such a tiny thing, you’ll find that your baby sure does take up a lot of time! In between feeding her, changing her, bathing her and staring at her in utter awe, there’s little time for anything else. Enjoy these first few weeks of your “babymoon” with baby; it’s all part of the bonding process, and you’ll soon work out a routine that can include it all. Your baby’s first stool is known as meconium and looks like a black, tar-like substance. It’s composed of amniotic fluid, mucus, lanugo (the fine hair that covers the baby’s body), bile and cells that have been shed from the skin and the intestinal tract. After about four days, she will be passing greenish-yellow stools. Remember that breastfed babies’ stools can be infrequent and then fill the nappy to capacity and beyond, Burgie warns. Your tiny baby won’t be tiny for long – she spends all her time in these early days growing, and you’ll be surprised at how much weight she gains in those first few weeks. Don’t buy too many newborn clothes because baby will soon grow out of them, and if you do buy newborn outfits, focus on babygros as this is what baby will be wearing most during those first months. After spending so much time getting to know your little bundle, going back to work after your maternity leave is going to be difficult. Not only do have to get used to working again, you’ve changed so much that the adjustment could take you by surprise. 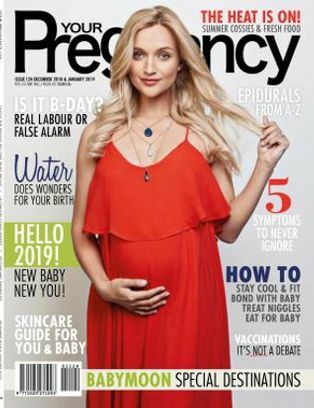 Counselling psychologist Karin Steyn says, “The decision about returning to work after baby is born is not one to be left until it is time to go back to work. 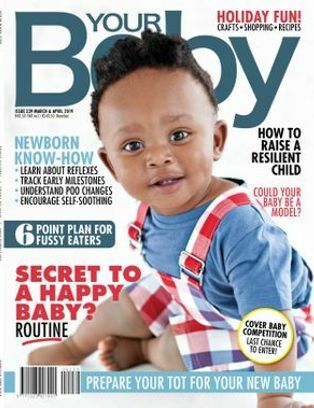 Most new mothers are very attached to their little bundles of joy and as a result may tend to be more emotional than rational, and may find making the decision to be increasingly more difficult. “I would urge the mother and the father to do their planning in advance, before the baby arrives, and thoroughly explore all the options available to them as a family. If the mother knows she has exhausted all options, and she has no other option but returning to work (few families these days can afford to survive on one salary), it already makes it easier to accept the reality of the matter." Once you’ve made the decision, she urges working moms to spend quality time with their babies every day and to banish any feelings of guilt. Maintain a healthy balance between work and home. Karin suggests that your baby takes priority when you’re home. What took your by surprise after giving birth? Was it anything like you expected it would be? Tell us by emailing to chatback@parent24.com and we may publish your comments.